Summer break, that’s the magical time of the year every child, and teacher thinks about during the stressful moments of school. Summer is the most exciting time of the year when both students and teachers take much needed time to relax, have fun, recharge, and, perhaps, seek out an adventure or two. However, somehow, summer break always seems to fly by! By the time a child gets used to the summer schedule, it’s time to get back to a daily homework routine. Urgh! Going back to school after vacations can be overwhelming and exciting at the same time. But you don’t have to worry, we are here to help. 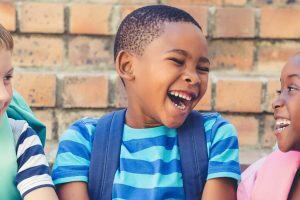 There are numerous ways to make a child feel excited about starting school and here we are providing some tips to make this time of the year special. Although your kids may hate seeing that dreaded back to school aisle, it does have a certain allure. A couple of weeks before school starts, take your kids out to buy their school supplies. Make a list beforehand of what things are required and allow your kids to have fun choosing pens, pencils, notebooks, erasers and other items. Don’t follow them around the store, let them take things by themselves; but keep an eye from a distance. In this age of smartphones and digital cameras, there is nothing easier than taking a picture. Click pictures of your kid all dressed up to start the first day of school. 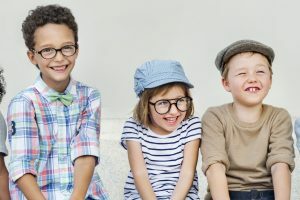 These pictures may not mean much now, but if you make it a tradition every year, by the time your child is done with school, you will have a timeline of memories to show them and feel nostalgic about how they have grown up and matured. When children arrive at school, they will be gloomy, ensure that you have a welcoming smile and a caring demeanor. This will allow a child to feel safe and noticed; and helps develop confidence. Put up interesting and exciting charts and ask children about their summer vacation; feel free to tell them about yours too. Creating a positive and supportive environment will help children interact with you and make them feel excited and more relaxed. Having a classroom that is organized and ready for students is very important. Make sure that the important items in your classroom have a place and that they are easily accessible. For example, have a clean and organized set-up for classroom books, organize classroom resources in boxes, tubs, folders or whatever works for you; and have a separate area for school supplies for both the children and yourself. 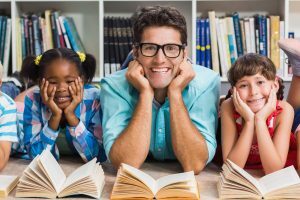 These are just a few of the things you can do to make going back to school fun and exciting.